“The Hidden Enemy” revolves around uncovering an informant for Asajj Ventress within the Republic’s Clone Army. The action is straightforward — the Jedi realize their plans have been compromised, Rex and Cody interrogate their suspects, the traitor is caught, and there are a few fire fights and lightsaber battles. 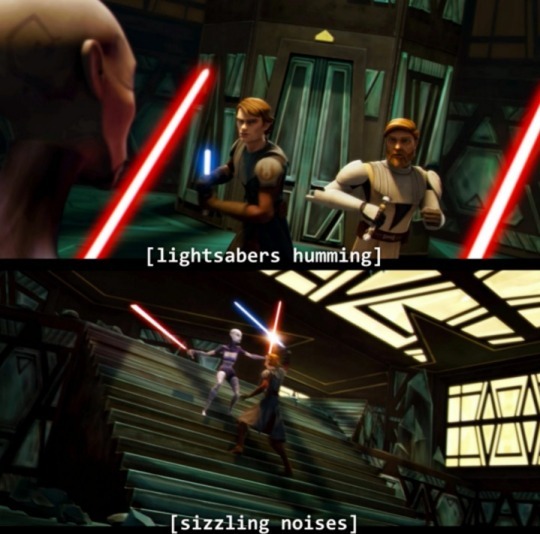 Like all of Clone Wars, and all of Star Wars, the action is the location, the episode is about something more. Slick describes his treason as “a blow for all clones” — from his point of view the Jedi enslave their clone army. It’s a pretty serious accusation that neither Anakin and Obi-Wan nor Rex and Cody give any thought to (in this episode). Slick’s position is dismissed as a betrayal that put the rest of them at risk and the episode ends. But the dilemma has been broached, and the episode asks more questions than it answers, and I am Here For It!! Question: what is the cost of political activism? Slick’s actions absolutely do put the other clones, the Jedi, and the Republic at risk. But are they substantially different from what Anakin does in Revenge of the Sith — or what Finn does in The Force Awakens? How about what Leia presides over in A New Hope, Bloodline, The Force Awakens. . . basically everything Leia ever does? Slick’s and Anakin’s actions are seen as wrong, even evil, while Finn and Leia’s are seen as right and good. So, how about this, how are Slick’s actions substantially different from what Anakin does in Return of the Jedi? Anakin betrays the Jedi for the Republic which becomes the Empire, and then betrays the Empire for his children who are quite literally the face of the Rebellion. And then Ben Solo starts it all over again. And lines start to blur. 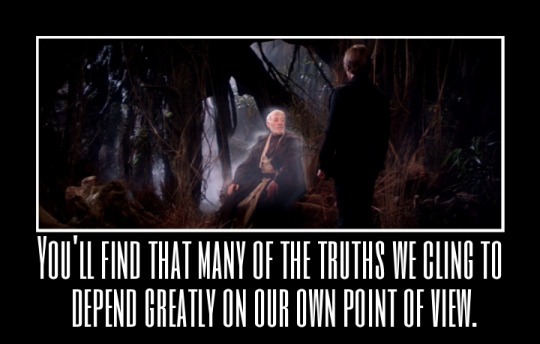 Obi-Wan is entirely correct, it all depends on point of view. Question: what rights do clones have? Both the Jedi and the clones fight and die for the Republic so none of its planets’ citizenry has to do it, but the Jedi have a choice. The clones are not only conscripted, they are literally created to fight a war for a government in which they are not represented. Then there’s Chopper who disobeys orders to collect pieces of battle droids he’s slain. Collecting trophies is unpleasant, especially literal pieces of the enemy (cough, Kylo Ren, cough), but it’s not unheard of. Chopper says he “just wanted something back” which suggests something was taken from him. It suggests the war has hurt him in some way. What does it say about the Jedi and the Republic that they’ve created a race of soldiers who are expected to only care about the big picture, their side in the war and the risk to all their brothers, but not their desires as individuals? Actually, that sounds an awful lot like the Jedi Code, too. I hate the Jedi Order. Question: speaking of desire… pin-up posters of Naboo handmaidens what?! These hang in the barracks. Which is normal, I guess, but that’s why it’s weird? Clones aren’t allowed to desire “something back” (-Chopper) or “something more” (-Slick) but sexual desire is okay? I mean, okay, sure, but… does anyone else wonder why? And then there are questions specific to this poster. Did Jango Fett find Padmé attractive? Is it an authorized representation? Do Padmé and/or any of her handmaidens know about this? Does Naboo get the money? Have Anakin and Obi-Wan seen these posters hanging in their clones’ living quarters? I feel like they would both be bothered. Anakin for jealousy and over-protectiveness reasons and Obi-Wan for embarrassment and moral reasons. I’m bothered. Like, okay, whatever pin-ups are a thing, that’s fair, but the girls depicted in these posters (outfits) were 14 at the time?! And coupled with the whole ‘don’t collect bits of battle droids’ edict it makes me really uncomfortable: don’t treat droids as objects but do treat women as objects. Really?! Question: whose side should we be on? Slick conspires with the villains, and the clones certainly don’t have more rights under the Empire. But the series encourages us to sympathize with the clones and if Slick’s methods are wrong, his purpose is not necessarily. Slick’s story is a lot like Anakin’s is a lot like Leia’s is a lot like Finn’s… from a certain point of view. Question: how does Anakin square his past as a slave with leading a slave army? The short answer is: he doesn’t. Anakin’s mental state deteriorates before our eyes. He’s optimistic at the end of AotC/beginning of TCW and he’s a MESS by the end of TCW/beginning of RotS. There are many stresses: the war, his rocky relationship with the Jedi Order, his hidden marriage, the Sith Lord whispering sedition. But clone rights is another, and it is all wrapped up in both his past as a slave and his present as a Jedi. Obi-Wan can ignore Slick’s accusation because the way the clones are expected to operate – to care about the big picture, their side in the war, and the risk to all their brothers, but not their desires as individuals – is exactly how the Jedi are expected to operate. But Anakin cares – because Anakin doesn’t agree with how the Jedi do things, either. Anakin cares so much it hurts – because he’s not supposed to. He’s not allowed to. Anakin is constantly at war with himself because what he feels is true and what he’s been told is true don’t match up. So Anakin doesn’t say anything to Slick – or Rex, or Fives, or any of the others, or any of the Jedi, or Padmé, or Palpatine, or anyone else who might help (not that Palpatine would help, but Anakin doesn’t know that) – because to say something would be to admit that the situation is wrong. That the Jedi are wrong, the Republic is wrong. Anakin assumes Anakin is wrong. Someone somewhere said that Anakin’s main flaw is deference and this is another example of that. But it never sits well with him, it (along with everything else) turns him into a powder keg of stress and anxiety. Even as Vader he’s always barely a hair breadth away from exploding.